The main campus of the University of Iowa Medical Clinics (UIHC) was filling up fast. Hospital staff wanted to build a new building for the more routine procedures, easy access, and ample parking. The UI Health Care at Iowa River Landing (IRL) in Coralville was the solution. 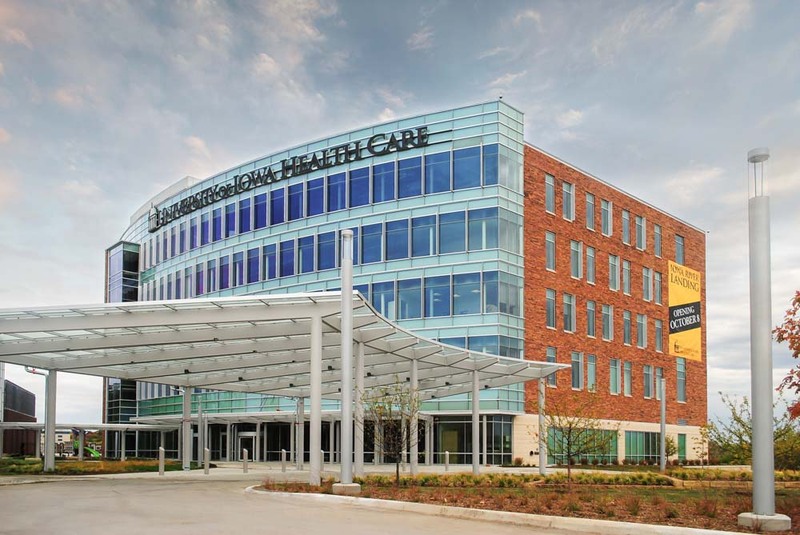 Located just a few hundred feet from Interstate 80, UI Health Care at Iowa River Landing provides patients and their families another option for getting the quality care. Over a dozen services are located in the building, including Cardiology, Dermatology, and Internal Medicine, with additional services being added in the near future. A Variable Refrigerant Volume (VRV) was designed to improve zone control to accommodate all the different departments in the 5-story building, reduce ceiling space required by all air systems, and provide significant energy savings. To supplement the VRV system, an Energy Recovery Ventilator (ERV) was specified to provide fresh outdoor air throughout the building, while recovering waste energy from the exhaust air stream. In addition to the VRV and ERV combination, Radiant floors and panels were installed to offset the loads from the expanse of windows on the north side, a lab-quality air-handling system was installed for the pharmacy, and a dedicated exhaust system was installed for several isolation rooms. Lighting is a mixture of high-efficiency fluorescent and LED, with a focus on occupancy control and dimming. 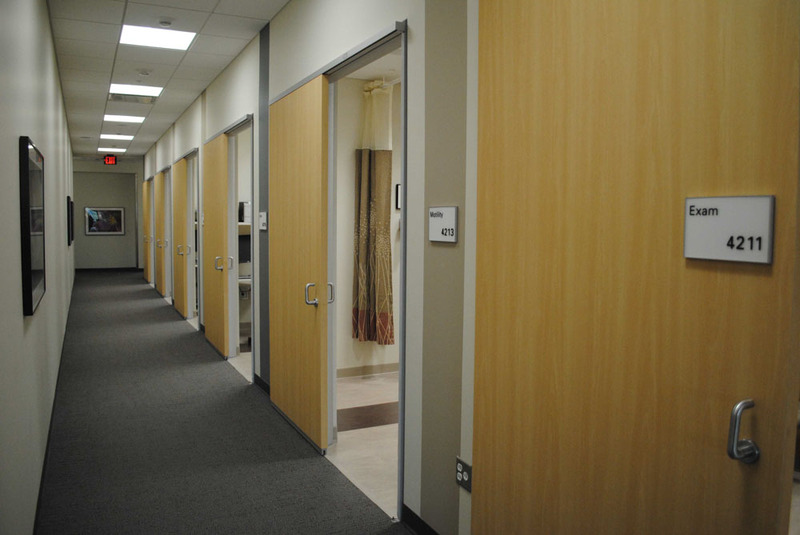 This allows sufficient lighting for the medical procedures while saving energy when rooms are not occupied. Power distribution presented an interesting challenge because of the vast differences in departmental equipment. Heavy coordination was required throughout design and construction to ensure equipment was up and running when the doors opened. Lastly, a 500kW generator was specified for emergency situations. 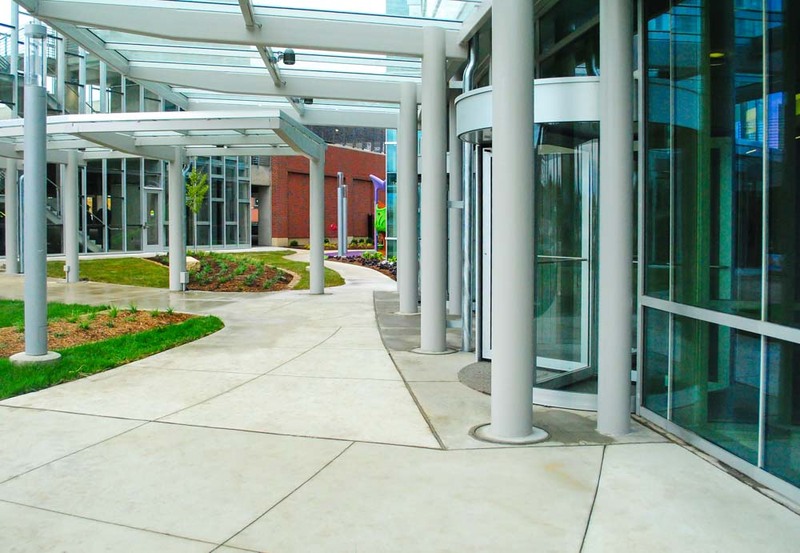 Cutting edge design and an energy-efficient building provide a great foundation to be awarded LEED Silver accreditation. 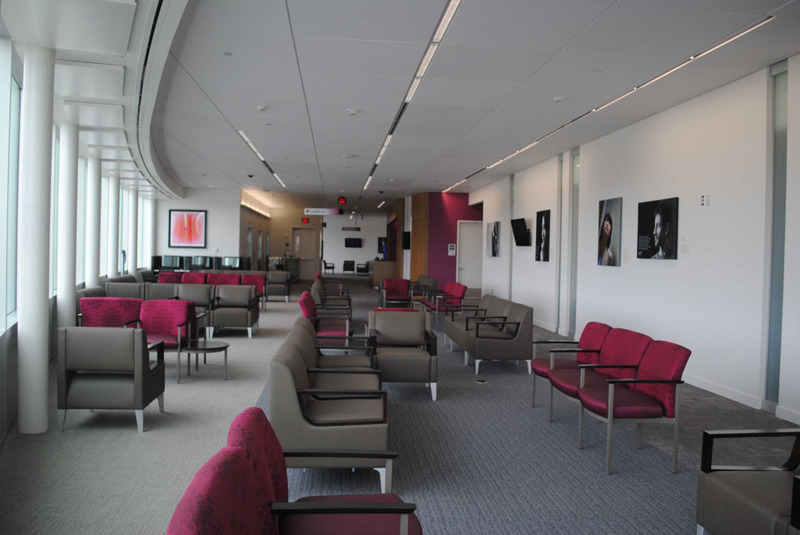 In addition to the above technical milestones for the project, MODUS was instrumental in accelerating the design and shaving months off the project schedule; allowing patients to have access to the clinic as soon as possible.